Here are the best 2018 Black Friday & Cyber Monday Sony A6300 deals, sales and rebates this holiday shopping season. 2018 Sony Camera Black Friday & Cyber Monday Deals are now live: you can save $150 on the Sony a6300 body and save up to $350 on Sony a6300 bundle kits. Really big savings on the Sony a6300 APS-C mirrorless camera. The a6300 is a tremendously capable camera, whether you’re looking to shoot stills or video and it gets 85% overall score and Gold Award at DPreview. Order immediately before out of stock if you are intereated! $150 off on Sony a6300 body: $748 at Amazon, B&H, Adorama. $150 off on Sony a6300 with 16-50mm Lens: $848 at Amazon, B&H, Adorama. $250 off on Sony a6300 with 16-70mm Lens: $1,646 at Amazon, B&H. $150 off on Sony a6300 with 16-50mm and 55-210mm Lenses Bundle: $1,196 at Amazon, B&H. 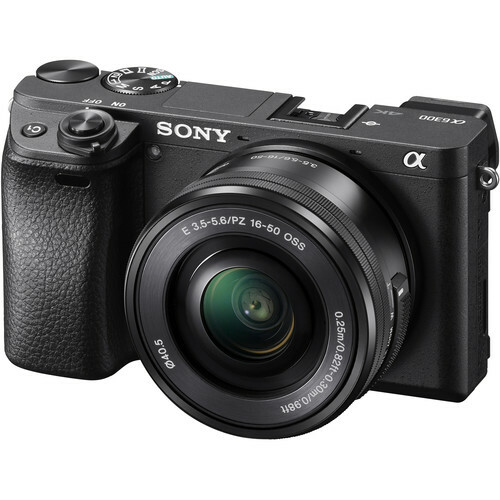 Read more: Sony Mirrorless Camera Black Friday Deals 2018.